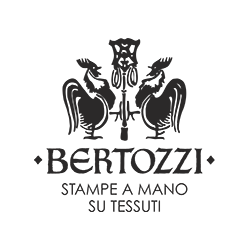 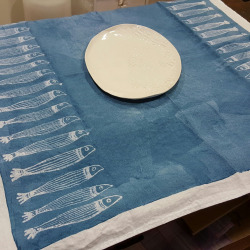 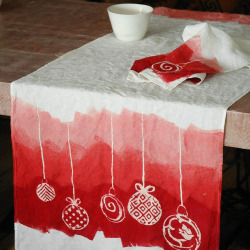 Tablecloth in linen, hand printed. 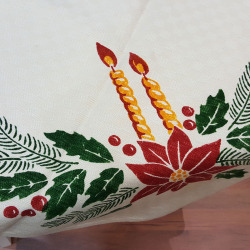 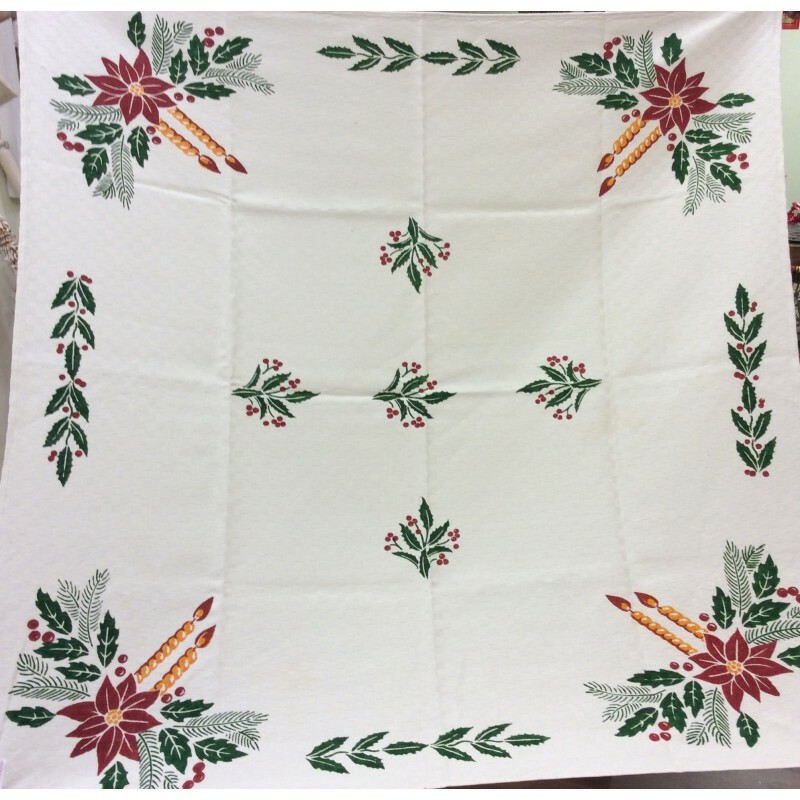 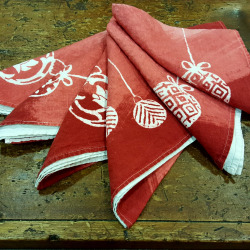 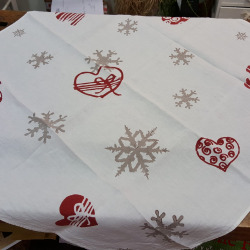 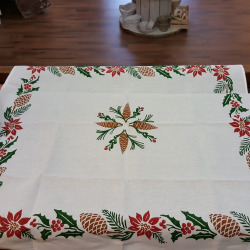 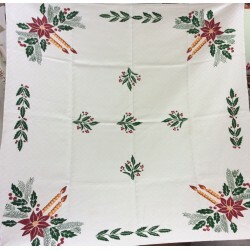 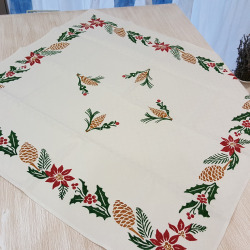 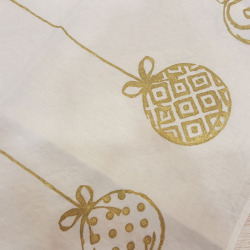 Tablecloth table covers decorated with holly decorations by hand. 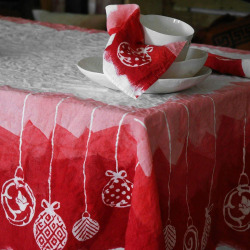 Beautiful table covers with bright colors and well-defined mixed linen. 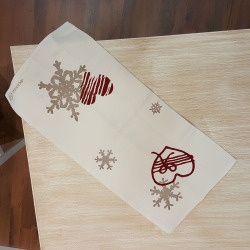 Enrich your home with covers of exceptional beauty table with all drawings and handmade decorations. 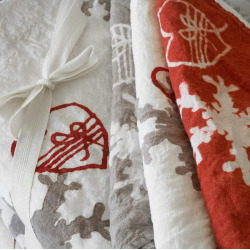 Product of artistic craftsmanship that gives light, elegance to your home. 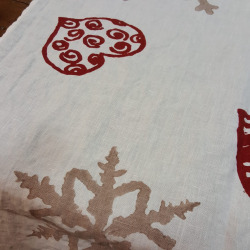 Also available in different sizes and customized like all other cloths.